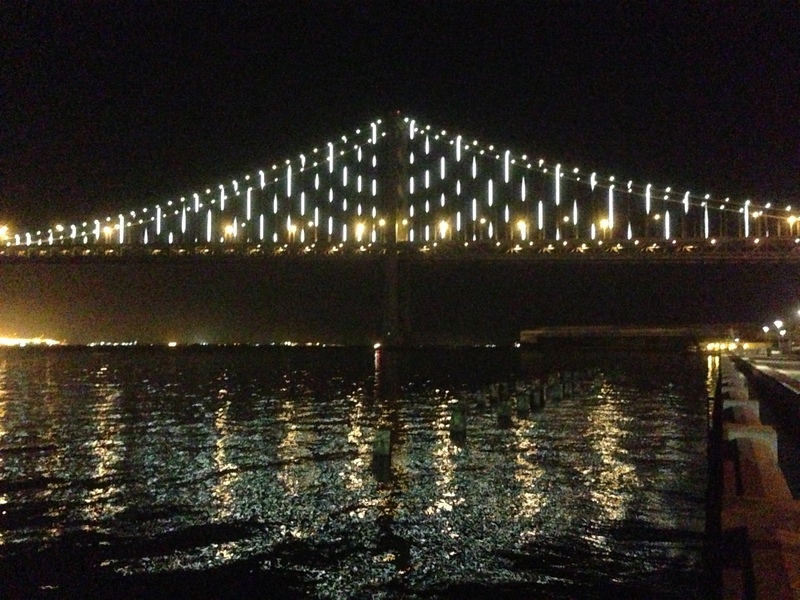 I’m looking forward to seeing the Bay Lights when I visit San Francisco in July. Reblogged this on Eile mit Weile. This is such a gorgeous pic! The lights, the river, the sky! (I assume this is the U.S.)? In what state/city was this pic taken? San Francisco, the Bay Bridge. Reblogged this on Jason's Journey. The mist and dark make the lights look almost surreal. The lights look almost like little jewels hanging from a string in cave over water. Reblogged this on nirob mojumder. I cant wait till I live in San Francisco so I can experience this for myself! I love this pic “The Lights of the Night” Great capture : ). this is the best place EVER !!!!!!! All those lights on the bridge look really beautiful! (It must be very difficult to take photos at night, so whoever took this pic must be very talented)! In my opinion anyway, I think it’s much easier to take photos during the day/indoor pics where there’s a fair quantity of light, than taking photos after dark. The reflection of the lights on the ripples of water look so exquisitely, indescribably gorgeous, & it looks peaceful at the same time. Reminds me a little of Christmas lights! cool ! i hope i’ll be there. great picture ! u must travel a lot !! I would love to see all the beautiful lights of every City at Night. I love the romance …no 49ers pictures? Am I missing something? I feel like I’m there, almost! I love the reflections of the lights on the water.